Nizar Zakka, a U.S. permanent resident imprisoned in Iran, issued a desperate plea for international assistance in an audio recording in which he asserted his innocence from spying charges and vowed to continue his hunger strike "until my death or freedom." "I am innocent—never done any crime in my life," he says in an audio recording his family released to the Washington Free Beacon. "Have been arrested unjustly by—for over 20 months. "I came to [Iran] based on the official invitation of its vice president for women and family affairs who also happened to send me a visa to speak at her conference," he says in the audio taped from inside Iran's notorious Evin prison. "This is against all international laws, therefore I went on an ongoing hunger strike as of yesterday—and ongoing until my death or freedom." Zakka, whose health has sharply deteriorated in recent weeks according to his lawyer, said he made the decision to go on his fifth hunger strike to protest his open-ended detainment. His attorney and family members said his blood pressure recently dropped to dangerously low levels, complicating existing physical problems that continue to go unaddressed. "I came to this conclusion after having tried every possible option to get the Iranian authorities to do the right thing," Zakka says in the audio recording, which was made some time in the last two weeks. Zakka then asks to meet with an unidentified person to "provide him with my will," and says he hopes to secure a meeting with the International Committee of the Red Cross before his health worsens. The person's name is bleeped out for privacy reasons, Zakka's family said. "Thank you for your understanding if available, and [I] hope to be able to meet with the International Red Cross Committee, ICRC, before my situation degrades significantly," he says. "Thank you." 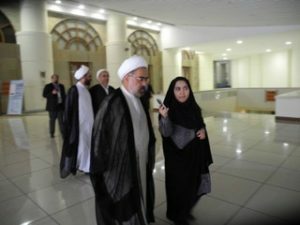 The gripping audio message includes a photo of a smiling Zakka standing alongside Shahindokht Molaverdi, Iran's vice president for women and family affairs. Molaverdi invited Zakka to a government-sponsored conference in Tehran in September 2015. He was arrested and imprisoned the day after delivering a presentation on information communication technology for "women empowerment" at the conference designed to help women become more active within their communities. Molaverdi had requested the presentation and approved it, according to Zakka's attorney, Jason Poblete. The audio of Zakka's voice is preceded by a recording of a woman stating in Persian that the call is taking place from inside the prison, a standard preamble to the few phone calls prisoners are allowed to make. Straightforward and concise, the recording offers a rare glimpse of the mindset of a captive held in Evin Prison, infamous for its brutal beatings and torture. The family's decision to release the audio comes two weeks after the death of Otto Warmbier. Warmbier, a University of Virginia student imprisoned in North Korea for a year and a half, was freed in mid-June but died just days after he returned home. "The Zakka family asks for continued prayers and support, as well as the unconditional humanitarian release of Nizar," Poblete said in a statement. 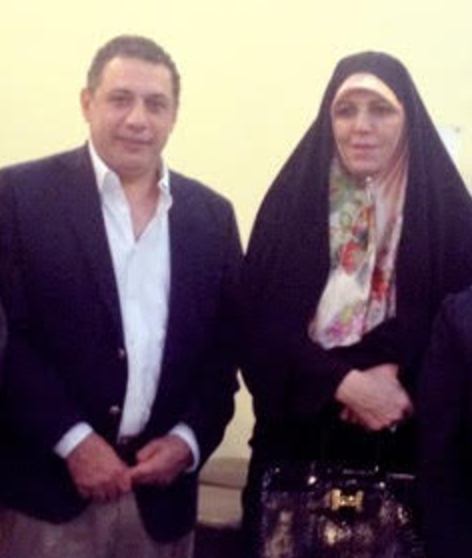 One of Zakka's three sons, Nadim Zakka, recently wrote to Iranian President Hassan Rouhani, telling him that his father "is now on an open-ended hunger strike and is in very poor health." "Please stop our suffering before it is too late," Nadim concluded. An ICRC spokeswoman in Washington said only that the organization "does not have access to places of detention in the Islamic Republican of Iran, and we are not in a position to comment further." Zakka, a 50-year-old Lebanese citizen who has spent years living in Washington, D.C., is one of several U.S. citizens or permanent residents imprisoned in Iran on espionage charges in the last several years. Siamak Namazi, an Iranian-American businessman and his father Baquer Namazi, an 81-year-old former United Nations official who once served as governor of an Iranian province under the U.S.-backed shah, were imprisoned a few weeks after Zakka in the fall of 2015. The Namazis’ family members also are worried about both men’s mental and physical health, which they say has been deteriorating. Baquer Namazi underwent triple bypass surgery before his arrest, they say, and prison guards have beaten and tased him throughout their time in prison. U.S. authorities also believe Robert Levinson, a former FBI agent who went missing in Iran in 2007, is being held there. Iranian officials have denied having anything to do with his disappearance but have pledged to help try to locate him. Iran also has imprisoned several other westerners with dual Iranian citizenship over the past few years. Zakka's case stands out because, unlike other captives with western ties, he was in Iran at the time of his imprisonment at the invitation of the Iranian government. Zakka is an advocate for internet freedom whose nonprofit has sponsored conferences across the Middle East and North Africa touting the economic and social benefits of investing in information technology. He was traveling in Iran in September 2015 to attend an International Conference and Exhibition on Women in Sustainable Development. An undated invitation from Molaverdi asks Zakka to participate in the conference, which, the invite says, "focuses on introducing the position and role of women in business development considering the post 2015 Development agenda." "Considering your countless knowledge, valuable experiences and deep creativeness & innovations, this would be our great honor to cordially invite you for enriching this significant event and transferring your achievements and experiences to this Conference," Molaverdi wrote in the invitation. "We look forward to having the pleasure of your presence at this unique event," she concluded. The trip was Zakka's fifth to Iran in recent years either to discuss the economic and social benefits of information technology or to hold related conferences, according to Poblete. 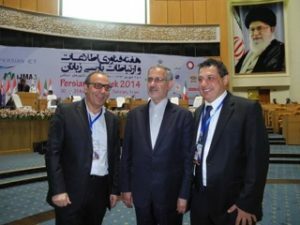 Zakka's nonprofit cosponsored the conferences with the blessing and participation of the Iranian government and some of its most senior officials, including the first vice president of President Hassan Rouhani's government and the deputy minister for information and communication technology. 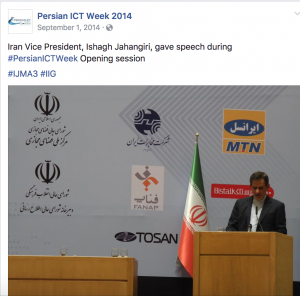 At a 2014 conference dubbed Persian ICT Week, Iran's First Vice President Ishagh Jahangiri delivered a speech in the opening session in which he appeared to embrace—at least in a limited capacity—the Internet and information technology. "This is our point of view which decides such a modern phenomena [sic] to become either an opportunity or a threat," he said, according to a Facebook post from the conference quoting his speech. "The government in Iran considers the new world of information and communication, the cyber space and Internet as the signs of an upheaval in the world and not as threats." "I believe Persian ICT Week is an opportunity within which all Iranian/non Iranian researchers, directors and experts in the field of ICT cooperate together regarding this important issue, find a wider perspective and discover new arenas," Jahangiri is quoted as saying. 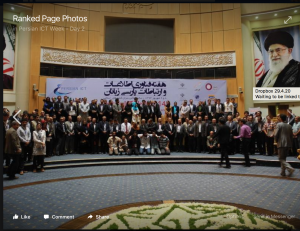 Zakka helped organize the conference held Aug. 30 and 31 in Tehran at a conference hall known as IJLAS Center. The two-day conference's theme was "Internet Access toward Economic Growth" and brought together dozens of information communication technology stakeholders from around the region, including "telecom ministers, key members of the public and private sectors, and civil society," according to the event's Facebook page. The conference was held in a hall against the backdrop of a large mural of Ali Khamenei, the supreme leader of Ian. 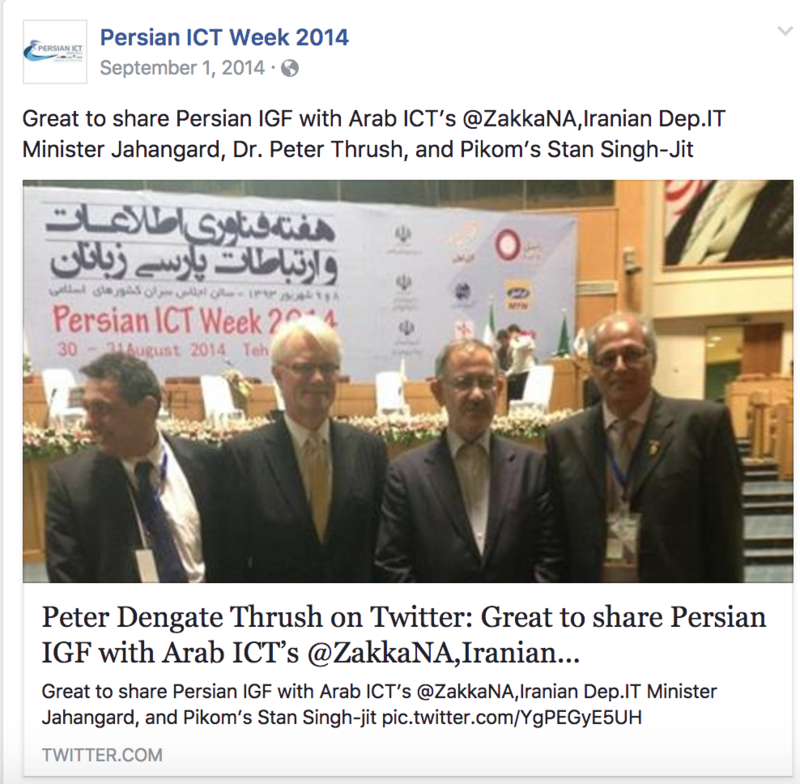 The event's Facebook site also shows Zakka in several photos alongside Nasrollah Jahangard, Iran's deputy minister for information and communications technology, including one with Peter Thrush, a New Zealand attorney specializing in internet law and the former chairman of the board of the Internet Corporation for Assigned Names and Numbers (ICANN). ICANN is a private, nonprofit global organization that manages billions of network addresses and Internet domains in coordination with companies and governments. the nephew of the Grand Ayatollah Abdollah Javadi-Amoli, a conservative Iranian politician and Islamic scholar, according to conference organizers. Zakka faces a 10-year prison sentence and a $4.2 million fine over spying allegations. The same hardline judge who sentenced Washington Post journalist Jason Rezaian handed down the sentence. A prisoner swap in January 2016 between Iran and the U.S. freed Rezaian and three other Iranian-Americans. Zakka and the Namazis, however, were left behind. During the last year of the Obama administration, State Department officials repeatedly said they were trying to secure Zakka's and the Namazis' freedom "as soon as possible." Siamak Namazi's attorney, Jared Genser, has said U.S. officials told Namazi's family that their son would be released a short time after the January 2016 prisoner swap with Iran. Not only did that no occur, the Iranians then imprisoned his father. Republican lawmakers have blamed the Obama administration for giving Tehran an incentive to take more U.S. hostages with its $1.7 billion payment to Tehran last year, $400 million of which was paid in cash and timed to ensure the release of four U.S. hostages just as a nuclear agreement between the U.S., Iran, and other world powers was going into effect. The United States has a longstanding policy that forbids government payments in exchange for hostages. President Trump has vowed to make freeing American hostages held overseas a top priority, a senior Trump administration told the Free Beacon last month. Before Warmbier's release, the administration helped secure the release of Aya Hijazi, an Egyptian-American charity worker, imprisoned in Cairo three years ago. The House Foreign Affairs Committee plans to hold a hearing this month featuring testimony from families of U.S. hostages held in Iran. The panel's Middle East and North Africa subcommittee, chaired by Rep. Ileana Ros-Lehtinen (R., Fla.), in late June marked up a bipartisan resolution calling on Iran to unconditionally release all U.S. citizens and permanent legal residents. This entry was posted in Issues and tagged Iran, Iran Nuclear Deal. Bookmark the permalink.